Business Studies is driven by commercial, environmental, social and economic influences and is a constantly developing and challenging area to study and work in. This course provides a solid grounding in fundamental business concepts, ideas, practices and methodologies and offers students the opportunity to follow a broad business pathway or focus on a specialist area such as Marketing or Finance. BMBS is an Undergraduate three years degree programme in which the student completes first two year study in India and the third year at DMU, Leicester, UK. study bba usa and bba usa, bba colleges in India. DCBS is proud of the quality and relevance of this Undergraduate course. The Kind of Support and opportunity along with teaching material are at the forefront of Business education. The main teaching methods used are lectures and tutorials/ seminars. The diverse range of modules on the program provides opportunity for experiencing a range of learning approaches like workshops, group work, projects and reflections. Students will also make extensive use of IT based learning through the University’s Blackboard system, which offers opportunity for on on-line discussion, retrieval of information, learning, assessment and links to other electronic sources. The classrooms are spacious, air conditioned and equipped with multimedia and Audio-Visual equipments to foster effective learning. The classrooms are designed to have maximum interaction between faculty and students. 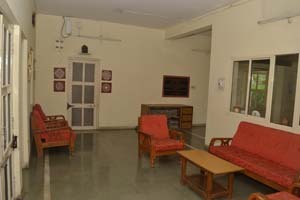 The campus also has mentoring rooms to discuss individual student’s specific problems. Computer facilities at DCBS, includes a well-equipped computer lab, which houses 30 computers connected to the server with local area network. 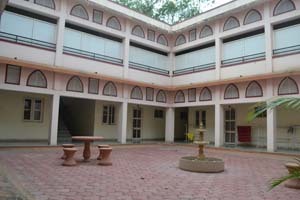 The campus has a Wi-Fi (wireless) system with 24 hours network connectivity. The school has its own ERP system, which facilities online attendance and evaluation. In addition, the intra-net / e-Black Board are used to publish detailed lecture handouts to enable students access module related information/ lecture notes. The library on campus houses a good range of reference & core textbooks. It also subscribes to the good number of leading national & international business journals, periodicals, magazines & newspapers. The library has its own collection of CDs, DVDs and Multimedia kits. The library subscribes to EBSCO & Athens Business source premier, which provide access to more than 7000 international journals in full-text format. 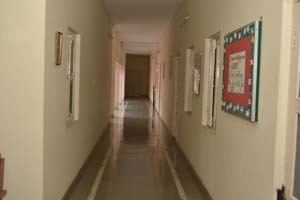 The Girls’ hostel situated in the campus provides an excellent and secured lodging alternative to outstation girl students. The hostel has well furnished rooms with attached facilities, a common recreation room with all the modern facilities and a small pantry. The hostel enjoys 24 hours broadband Wi-Fi (wireless) Internet connectivity. 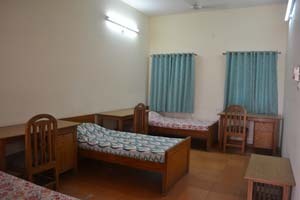 Newspapers, magazines·	Llaundry and mess facilities are also provided to the hostel residents.